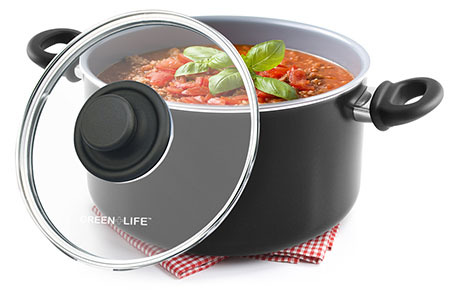 GreenLife cookware is specially designed to make healthy cooking easy. 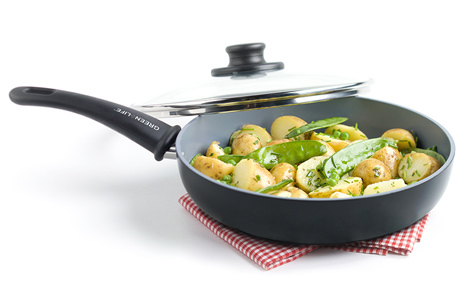 Made from premium materials, our cookware combines attractive designs with high performance and healthy technology: the Thermolon™ ceramic non-stick coating is great to use, easy to clean and 100% PFOA, Lead and Cadmium free. GreenLife cookware brings out the chef in you. The ergonomic handles come in stay-cool Bakelite and oven-safe stainless steel. 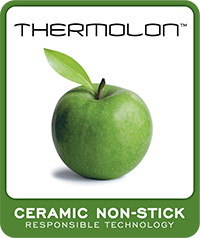 The thick base guarantees perfect heat distribution and stability and has excellent non-stick abilities thanks to the Thermolon™ ceramic coating. To keep your favorite cookware in top condition, you have to handle it with care. Follow our simple tips and tricks and enjoy a long and prosperous relationship filled with GreenLife love.